Spending many hours crunched up in your cubicle at work takes a toll in your health. You need to put yourself through some physical activity everyday so that you can lower your risk of developing any ailment while also keeping your body in optimal condition. One of the activities that you can employ to keep yourself healthy and fit is spin biking. Spinning bike involves high intensity workout without producing too much negative impact on your body. Spin biking or indoor cycling was first introduced in the 1980s in California. A south African-born athlete, Johnny Goldberg, was the one who started this fitness activity. He was preparing for a competition and needed an option for training that would not be limited through the weather condition. He was looking for a substitute for outdoor biking especially as winter came. Because of this, he made his own stationery bicycle that simulated an outdoor bike. Then in 1991, Goldberg teamed up with an avid cyclist who also happens to be an entrepreneur, John Baudhuin, to design the bike fit for indoor cycling. A training program that comes with the stationery bike was also created in this period. From thereon, the bike and the Spinning program have become known all across the United States and are growing to greater popularity in fitness training programs each day. When it comes to strength-endurance training, spin biking is a popular choice. It can improve a person’s strength and endurance within just a number of indoor cycling sessions. This is true for both the average adult and the total athlete. The cyclist pedals against a certain level of resistance, which can be adjusted. This leads to the enhancement of your endurance and strength. Even adults who are still recovering from orthopedic injury can participate in this program, gradually building their strength and endurance while still on the path to healing. In indoor cycling, you use a variety of muscles, including the largest ones in the body namely, the quadriceps and gluteus maximus. Through using these muscles in a 45 to 60-minute class, you can burn as much as 450 to 600 calories per session. Unlike with outdoor cycling, spin biking allows you to exercise and train anywhere and anytime. Thanks to the indoor cycling creation, you can train by joining a class or at the comfort of your own home. If you are a beginner and want to try indoor cycling under the instruction of an expert, there are classes all over the globe where you can enroll. However, if you are constantly pressed for time and cannot go to the gym, you can invest in your own stationary bike and enjoy Spinning classes at your own home. 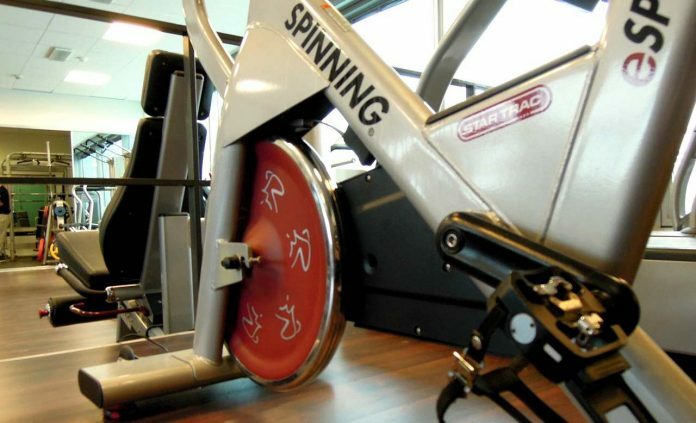 Read these spinning bike reviews to learn about the best indoor cycles on the market. In spin biking, you can enhance your endurance while also keeping your heart active and healthy. As you pedal following a vigorous routine, your heart rate is kept at a vital range for 45 minutes to an hour. If this is continued for 3 to 5 days every week, your heart becomes stronger and less susceptible to developing illnesses such as coronary heart disease. Depending on your goals, fitness level, and capacity, you can choose the speed and resistance at which to cycle. For example, if you are already fit and want to put yourself up for a challenge, you can maximize the speed and resistance. But if you are just recovering from an injury or just starting in your physical journey, you can choose the speed and resistance you are comfortable with. You may be wondering how such a physical activity can enhance your mental strength. It can do so in two ways. First, it allows you to warm up and cool down, which allows you to relax. You can use the physical exertion as a tool for you to purge all the bottled up emotions that you have. This allows you feel renewed and rejuvenated. Secondly, spinning gradually develops the “can do” attitude. The continuity of the spinning routine allows you to build a stronger mental state as you push through with the training on good and bad days. Having discipline to stick to a fitness routine helps you achieve this improvement. Having your own spin bike at home has many benefits. First, it saves you time and mile in the car. You can set your spinning routine that will suit your schedule. On the busiest days, you can change the time when you will train. But aside from being able to control your time, you also save yourself from the hassle of travelling to the gym. You are also spared from the gym fees, which you cannot make the most of if you are constantly unable to attend the indoor cycling classes. Previous articleAffordable Healthcare in India : A Myth?